For new clients only receive $10 off your first massage! Existing clients, you will receive a $5 credit for each paying referral. Why massage therapy? Patients are structural-chemical-physiological beings and balance of the whole person must include an understanding that all these together make up the whole person. Based on this important underlying principle our clinic is proud to offer top quality massage therapy as an important component of the overall approach we take in patient care. Many of our patients are familiar with the numerous benefits of massage therapy. In addition to stress reduction, improved blood flow and range of motion our patients report an overall sense of well being following an intense, full-body, deep-tissue therapeutic massage. Our massage therapists are experienced in dealing with all types of sports injuries, repetitive stress injuries, lifting injuries and injuries associated with accidents. Also, our massage therapists are familiar with the predictable muscle groups often involved in neck, back and extremity injuries and they work closely with our doctors to assess patient progress in order to optimize patient outcomes. For this reason many of our massage patients often elect to become chiropractic/acupuncture patients and many of chiropractic/acupuncture patients choose to become massage patients. You'll feel comfortable in our multi-disciplined setting in which patients receive quick accessible service, proper evaluation and directed treatment. Many of our massage therapy patients describe our office as a "one stop shopping clinic" because they can get chiropractic care, acupuncture, nutritional advice and massage all in one visit. 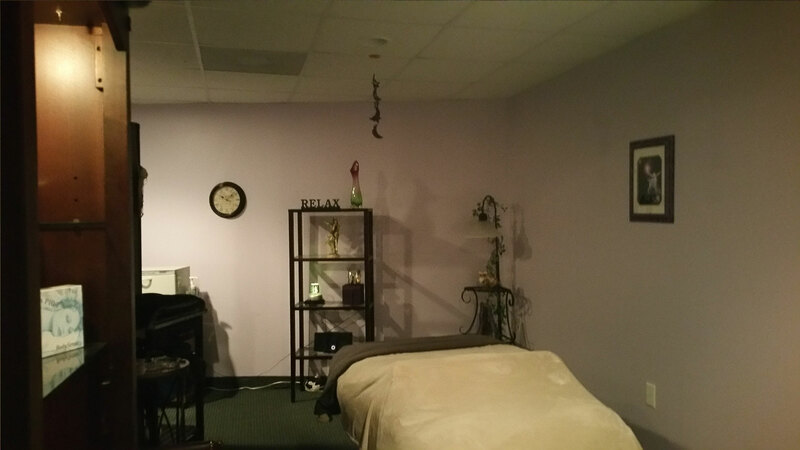 Please call or text Susan Jeske (804) 586-2601 today for a massage appointment.